13 August 2018 – The excellent release properties of Plasma non-stick coatings from Thermaspray render this surface coating technology ideal for a wide range of applications within industries such as food processing, printing and packaging, paper and pulp, tyre and rubber, and conveyor belt manufacturing. These coatings, supplied by Thermaspray, in partnership with USA-based Plasma Coatings, combine the advantages of thermal spray (metal base) coatings with polymer top coatings to offer benefits of wear resistance, slip and traction. Applied to aluminium, steel, stainless steel, tool steel, copper, ceramics, synthetic materials, Plasma coatings assist industries in realising substantial cost savings through reduced maintenance and subsequent improved uptime and increased production output. Thermaspray applied the Plasma 14000 coating to all areas that come into contact with the dough including augers, dough bins, dough pumps and baking pans. The excellent release and water repelling (hydrophobic) properties of this coating ensures that the dough does not stick and allows it to easily slide off the surfaces of the coated components. Since the application of the coatings in 2016, the bakery, which runs 24/7, has reported no downtime as a result of dough sticking to surfaces. Thermaspray applies Plasma coatings to refurbished components meeting OEM standards and in some cases even exceeding OEM standards. This was the case with the bakery customer who was refurbishing an existing plant that operates older equipment. Squara adds that Thermaspray also coat new components. “Although many OEM components are produced with non-stick coatings, the quality of these coatings does not match the Plasma offering. When these coatings eventually wear off, clients approach Thermaspray to recoat the components. Plasma coatings are applied to components at Thermaspray’s facilities as the coatings, which consist of many different layers such as primers and bond coats, are applied with a special high-pressure spray gun. 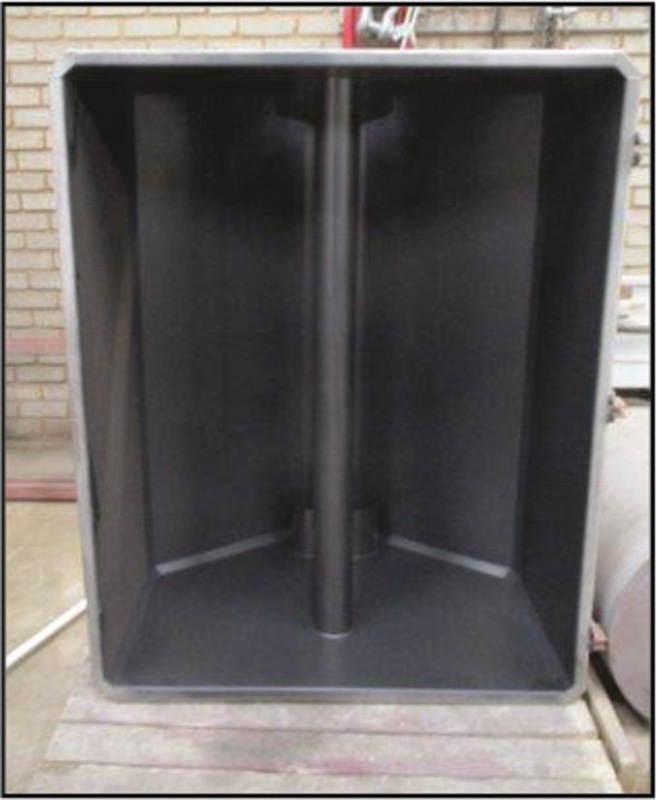 The components are then cured in ovens at temperatures of around 300° C. Squara mentions that there are various Plasma coating grades, each requiring different curing temperatures to ensure best results. Other Plasma coatings in the range include traction and release coatings which are used for applications such a paper transfer. Although still presenting non-stick properties, the coated area is able to grip the paper on to the roll and once it has passed over the roll the paper is easily released. This coating is widely used in the tissue paper industry. Testimony to the effectiveness of Plasma coatings is found in studies that show the use of a less expensive grade stainless steel with a Plasma coating outlasts an exotic and more expensive grade of stainless steel without a plasma coating. Thermaspray has almost completed a successful Plasma coating trial at a conveyor belt manufacturer. Conveyor belts are made up of different layers of tightly pressed materials. The belts are manufactured under extreme pressures and after release the material was sticking to the bottom of the press plate, pulling the layers apart. Thermaspray replaced the original plastic coating on the plate which was proving to be inadequate with a Plasma coating and the customer is reporting extreme satisfaction with the results.